RS Components has added a new portfolio of advanced modules based on FPGAs and system-on-chip (SoC) ICs from Trenz Electronic, a leading developer and manufacturer of module-based solutions for the industrial and science market sectors. The ability of FPGAs and other powerful semiconductor devices to perform efficient processing in parallel is becoming very important to meet the demands of applications that are gathering and storing increasing amounts of data – and these are rapidly mounting in number with trends such as the Internet of Things. RS has therefore added the Trenz line of easy-to-use development boards and system-on-module solutions (SoMs) to help educate engineers and researchers working in industry or academia and get them up and running in a relatively short timeframe. 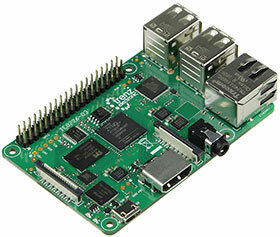 Initial products in the Trenz range available from RS include a series of Xilinx FPGA-based boards, such as a Kintex-7 FPGA module with multi-Gigabit transceivers, an Artix-7 35T FPGA module with dual 100 Mbit Ethernet transceivers, and an Artix-7 based module offering 32 MB of Quad SPI Flash memory and a large number of configurable I/Os.